Posted byFranz Vitulli March 24, 2017 September 4, 2018 Leave a comment on My first tattoo: the design, getting inked, and other thoughts. It finally happened. 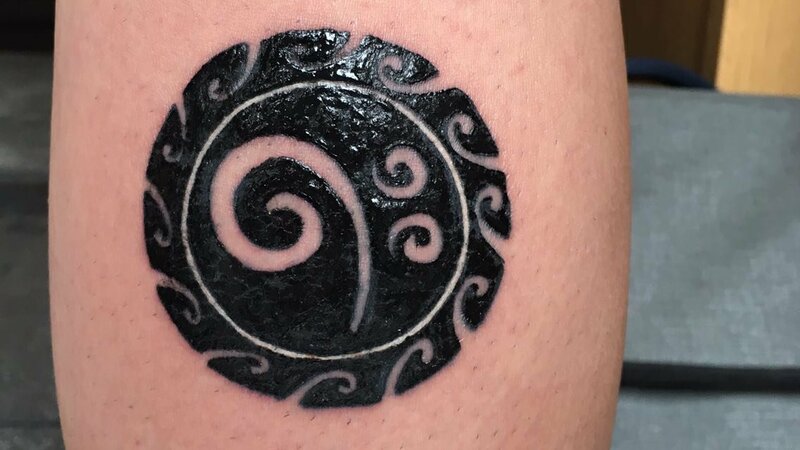 After several years of toying with the idea, I got my first tattoo. Six years ago I asked Freakettona—a talented designer and friend of mine—to create a business card for me. Not that I couldn’t just put together a basic one myself with Microsoft Word or whatever, I was just too busy (cough cough, I mean lazy…) to do it. I didn’t really give her any direction, other than the content—name, job title, phone number, email address and website. On the very first mockup she presented, there was this little logo she designed. She knew I was passionate about rugby, she knew I played the bass guitar, so she thought to create a Māori style bass clef. I immediately printed up some stickers with that logo. They’re on anything and everything that belongs to me and can be confused with someone else’s belongings—laptops, chargers, adapters, battery packs, suitcases, et cetera. It really helps when both your wife and your colleagues have the same gadgets as you. This is what you get when you unleash a creative mind, when you don’t try to guide them offering your useless, oftentimes counterproductive “requirements.” I didn’t ask for it. She did it for me, and very soon it became my logo. A visual element that over the years sort of became my non verbal and non photographic representation. Yes. Saying “no” would just create false expectations. But it’s totally bearable. It’s also true that I did it on my calf, which is, I understand, one of the body areas where the pain is usually less intense. So don’t take my word for it. Imagine a cat scratching you with a single claw. That’s the feeling. If you’re a cat person you know what I’m talking about. If you’re not doing it because you’re afraid of feeling too much pain, it’s understandable. But if you’re sure of what you want don’t procrastinate further!